The demarcation of an Indigenous Land (TI) is intended to guarantee the Indians’ right for the land. It should establish the real extension of the area under Indian possession, assuring the protection of the demarcated limits and keeping invaders away. Since the Indian Statute was approved in 1973, this formal recognition has had to follow certain administrative procedures, in accordance to Article 19 of the Statute. These procedures stipulate the stages of the long demarcation process. They are regulated by an Executive decree and, with the years, have gone through many alterations. The most recent one was defined by Decree 1,775, of January, 1996. See below the stages of the long process of demarcation of Indigenous Lands (TIs) as established in the Decree Nº 1.775/96. First, Funai appoints an anthropologist with recognized qualification who will produce an anthropological study of identification of the TI within a given time limit. The anthropologist’s study substantiates the work of a specialized technical group, which will carry out additional studies of ethno-historical, sociological, juridical, cartographic and environmental natures, as well as a land survey. The group must be coordinated by an anthropologist and should be composed preferably by technicians from Funai’s staff. The group has to present Funai a report containing specific elements and data listed on Directive nr. 14, of January 9, 1996, as well as the characterization of the TI to be demarcated. The report has to be approved by the president of Funai, whom, within 15 days, will have its summary published in the DOU (Diário Oficial da União - the Federal Government’s official publication) and in the Diário Oficial of the State where the future TI will be located. The publication must also be displayed in the local Prefeitura (city government). From the beginning of the procedures up to 90 days after the publication of the report in the DOU, anyone interested, including States and municipalities, may manifest her/him/itself by presenting Funai her/his/its arguments, along with all pertinent proofs, with the aim of demanding indemnification or demonstrate vices in the report. Funai has then 60 days, in addition to the 90 mentioned in the paragraph above, to elaborate opinions over the arguments of all interested parties and hand over the process to the Ministry of Justice. The minister of Justice will have 30 days to: (a) emit a directive declaring the limits of the area and determining the beginning of its physical demarcation; or (b) prescribe judicial proceedings to be carried out for 90 days more; or, (c) disapprove the identification, publishing a decision substantiated upon paragraph one of Article 231 of the Constitution. Once the limits of the area are declared, Funai promotes its physical demarcation. At this stage, INCRA (Instituto Nacional de Colonização e Reforma Agrária - National Institute for Colonization and Agrarian Reform) will give priority to the resettlement of occasional non-Indian occupants of the TI. Finally, the demarcation procedure must be submitted to the President of the Republic for homologation by decree. 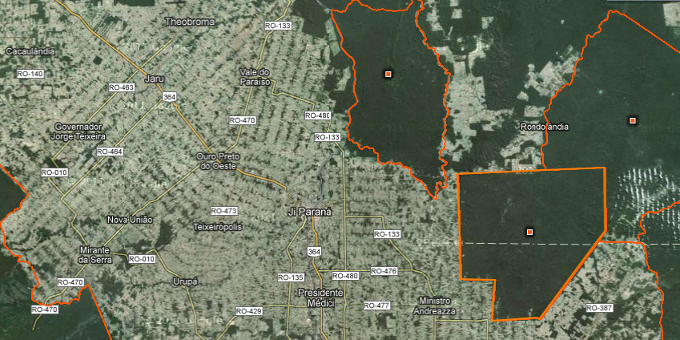 The Indigenous Land, demarcated and homologued, will then be registered, within a maximum of 30 days after homologation, in the notary of the correspondent judicial district and in the Secretaria de Patrimônio da União - Office of Patrimony of the Union - (SPU). 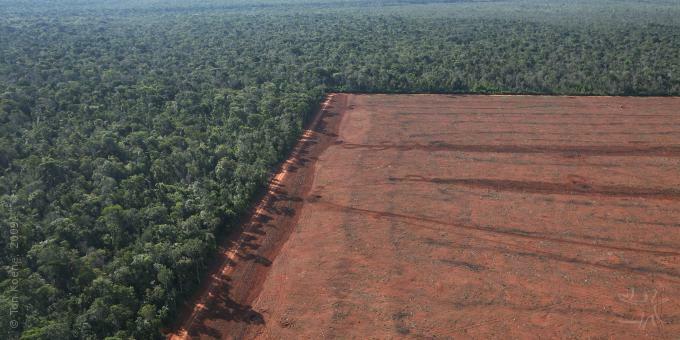 The procedures for the demarcation of Indigenous Lands in Brazil have changed several times in the past recent years. See below a summary of what were the demarcation procedures from 1976 until January, 1996, when the current procedure was instituted by decree 1,775 (see "Demarcation process"). Funai’s president appointed an anthropologist and an engineer or a land surveyor, who made the report, which contained the previous identification of the area limits. Funai’s president then approved the report - although the legislation did not specify it, that was done through a directive. Based on it, the physical demarcation of the area was carried out. After demarcation, the process was submitted to the President of the Republic for homologation. The lands were then registered in the notary and in the SPU. Funai’s technical staff made the preliminary identification of the area, which resulted in a proposal made by Funai to a Grupo de Trabalho - Work Group - (GT) formed by representatives of ministries and of other federal and State organs, when deemed necessary. The GT emitted a conclusive opinion and submitted the process for the decision of the ministers of the Interior and Extraordinary for Land Questions. If approved by them, the process was taken, along with a draft of a decree, to the President of the Republic, who would homologue the procedure and describe the limits of the recognized Indigenous area. The physical demarcation was then carried out based on the decree and, after that, registered in the notary and in the SPU. In truth, however, there were two presidential decrees: in the first one, the president of the Republic simply delimited the area to be demarcated. Following the physical demarcation, the process returned to his hands for homologation through another decree. After that, the land was registered. The technical staff, which made the preliminary identification of the limits of the area, had the participation of representatives of Federal and State land organs, as well as other organs Funai deemed convenient. If the lands were located along an international border, the presence of a representative of the secretary-general of the National Security Council was mandatory. Based on the work of the technical staff, Funai presented a demarcation proposal to an inter-ministerial GT, which emitted a conclusive opinion about it, which was submitted to the ministers of the Interior, of the Agrarian Reform and Development, and to the secretary-general of the National Security Council in the case of lands located along international borders. But, in fact, the secretary of the National Security Council decided all cases. Once approving the judgement, the ministers emitted an inter-ministerial directive declaring the area of Indian occupation and describing its limits. Funai then carried out the physical demarcation, and once it was finished the process was submitted to the homologation by the President of the Republic. After that, the lands were registered in the notary and in the SPU. Funai created a GT of technicians, coordinated by an anthropologist, in order to proceed with the preliminary survey of the limits of the TI under consideration - the interested Indian group could take part in it - and elaborate a report with the characterization of the area to be demarcated. Once approved by Funai’s president and published in the Diário Oficial da União (DOU), the process was turned to the minister of Justice, who could demand additional information from other public organs. The minister then declared the land of permanent Indian possession, through a directive published in the DOU. If he did not approve it, he should re-examine the case within 30 days. Next Funai, based on the limits established by the minister’s directive, could carry out the physical demarcation of the land. When necessary, INCRA should proceed with the resettlement of the non-Indian occupants of the land. When the demarcation was concluded, the process was submitted to homologation by the President of the Republic, through a decree published in the DOU, following the registrations in the notary of the corresponding judicial district and in the SPU. * Includes seven (7) lands reserved by decree: one (1) under Sarney, three (3) under Collor, one (1) during Lula's fist mandate and two (2) during Lula's second mandate. ** The "Nº" and "Extension" columns shouldn't be summed, as many Indigenous Lands homologated during a government were redefined and homologated again. This page was last edited on 20 September 2018, at 16:14.